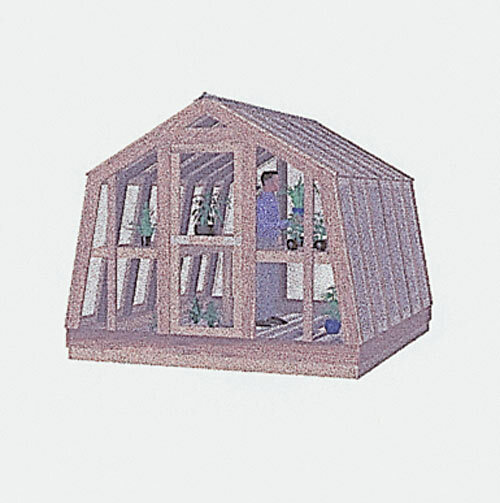 This set of plans features a Standard 10' X 12' Wood Frame Greenhouse that can be finished in glass, fiberglass or plastic based on your own personal selection. 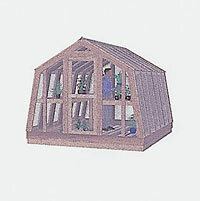 Designed for the home garden enthusiast and hobbyist, this useful greenhouse can be expanded in length or attached to your home. If you desire a more economical and quick structure, this set also includes a similar style plan for a 10" X 12" Polypipe (PVC) Greenhouse. For those with similar needs, several easy to build Hotbed and Propagating Frame Ideas have been added to this set of plans.